Another nice article on our recent Science paper. This one in the LA Times. It’s not easy being a lean, mean killing machine. 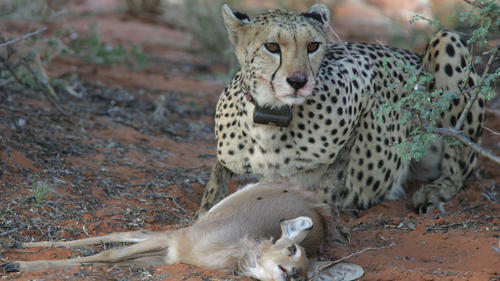 Whether a fleet-footed cheetah or a lie-in-wait puma, a hunting feline’s survival balances on the point between how much energy they lose in hunting for a meal and the energy they gain from actually eating it. Now, two new studies in the journal Science follow these big cats to find out how they make this lifestyle work.